Opening up my comfort reads spot to guest authors has revealed a whole new world of reading material. Today I’m handing over the reins to historical writer Kate Braithwaite. A comic novel – The Girl in Blue by P.G. Wodehouse. For total escapism, there is no one better than P.G. Wodehouse. 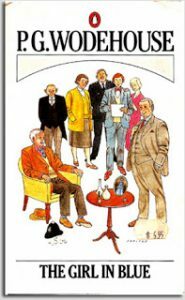 Successful comic novels are thin on the ground but Wodehouse’s novels and his portrayal of a gentle world of mishaps, stolen pigs, strange aunts and broken engagements never fails to amuse me. I’m more a fan of his Blanding Castle books (of which Pigs Have Wings is a fine example) but Jeeves and Wooster are classic characters and there are many other stand-alone novels I’d encourage everyone to read. These are often love stories and many are set in the States and in the theatre. One of the things I love best about Wodehouse though, is that my Dad was also a great fan of his. When I randomly picked up The Girl in Blue in a bookshop when I was 16, my Dad was thrilled! Sharing a love of particular books with someone close to you is a real pleasure. 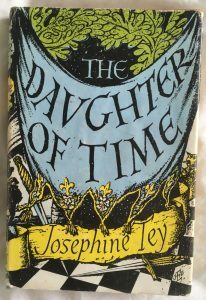 Funnily enough my Dad bought me the first Georgette Heyer book I ever read (I’d forgotten that until this very moment!) It was Cousin Kate and although it’s not my favourite, I’d happily pick up any of them and re-read them. 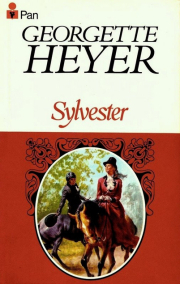 Heyer’s novels combine Regency romance, adventure and humour, often with a hero or heroine with a sparkling pair of clear grey eyes. My favourite, perhaps unsurprisingly, is Sylvester, about a young woman, Phoebe, who writes and publishes an anonymous novel. She takes as her villain Sylvester, Duke of Salford, a man she has met briefly but knows little about – only to find out after the novel takes London by storm – that her family think he is the perfect man for her. As her fiction proves to be closer to real life than Phoebe could have dreamed of, and her feelings for Sylvester undergo a sea-change, it seems her writing career may ruin everything. For time out from real life, there is nothing like a real page-turning crime novel. I love a book that I can’t put down: the kind you try and hold in front of your face in one hand, when you have a spoon in the other because you’re supposed to be busy cooking the tea. My favourites include Ian Rankin, Minette Walters, Peter May, Elizabeth George, Jeffrey Deaver and John Connelly. I’ve read so many P.D. James and Agatha Christie novels that I have way too many options here, but I’m choosing The Poet as I can remember my husband handing me a copy of it. He had just finished it and pretty much insisted that I start reading it immediately so that we could talk about it. 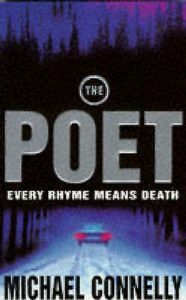 The Poet is a very nasty serial killer who leaves quotes from Edgar Allan Poe at each crime scene. I read it in great big gulps. It’s classic crime for me. This has been a tough decision! Jane Eyre nearly grabbed the nomination, but given that the choice here is all about comfort reads, Anne just pips Jane. Although not as ‘great’ a book, Anne of Green Gables is in more fun. I read both as a teenager and have read Jane Eyre several times since. I didn’t re-read Anne though, until I was in my thirties. We were living in Canada and took a family holiday with our 3 kids to Prince Edward Island where the Anne series of novels is set. 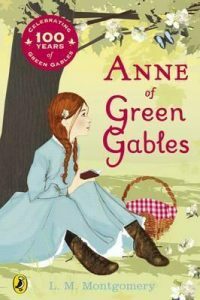 Returning to the book as an adult I was so struck by what an excellent and enjoyable novel Anne of Green Gables really is. I love the relationships between Anne, Marilla and Matthew and it’s a very funny and genuinely touching story. My kids still laugh at me for dragging them around the Green Gables house on that holiday but I don’t care. I loved every minute of it. For complete reading comfort, I think there is nothing as wonderful as a series of big fat books. There are six of these in the Lymond Chronicles, each one a dramatic adventure in their own right, but all telling the story of my literary crush, Francis Lymond, and his incredible life in the sixteenth century. Lymond is Scottish (like me), handsome (naturally), incredibly clever (obviously), but also very complex and secretive. The novels have everything – family secrets, adventure, politics, kindness and cruelty, love and tragedy. 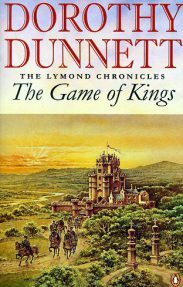 Dunnett’s writing is vivid, her world building is brilliant and her characters are fascinating. I might just have to go and get started on the whole series again, starting with The Game of Kings right now. If you haven’t read them – do! Kate Braithwaite was born and grew up in Edinburgh, Scotland. Her first novel, Charlatan, was longlisted for the Mslexia New Novel Award and the Historical Novel Society Award. Kate lives in Pennsylvania with her husband and three children. Kate’s first novel, Charlatan, revealed the underworld of fortune-tellers and poisoners that scandalised the court of Louis XIV and threatened to bring down his most famous mistress, Athénaïs, Madame de Montespan. 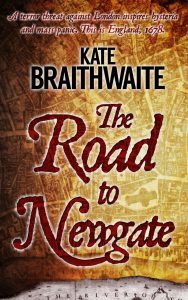 In The Road to Newgate (Crooked Cat, 2018) attention turns to a very different drama, playing out at exact the same period, just across the channel in London. What price justice? London 1678. Titus Oates, an unknown preacher, creates panic with wild stories of a Catholic uprising against Charles II. The murder of a prominent Protestant magistrate appears to confirm that the Popish Plot is real. Only Nathaniel Thompson, writer and Licenser of the Presses, instinctively doubts Oates’s revelations. Even his young wife, Anne, is not so sure. And neither know that their friend William Smith has personal history with Titus Oates. When Nathaniel takes a public stand, questioning the plot and Oates’s integrity, the consequences threaten them all. “Moved me greatly and brought tears to my eyes. Gripping, moving and brilliantly captures this tense and sometimes brutal episode in late seventeenth-century English history.” Andrea Zuvich, author & historian. “A real pleasure to read,” Denis Bock, author of The Ash Garden & The Communist’s Daughter. “Meticulously researched, vividly imagined, and deftly plotted. Rich, resonating and relevant.” Catherine Hokin, author of Blood & Roses, the story of Margaret of Anjou. Thanks to Kate for taking part. Today, I am joined by fellow Crooked Cat Author Isabella May. I thoroughly enjoyed Isabella’s first two books, Oh! What a Pavlova and The Cocktail Bar and I am very much looking forward to hearing all about her next novel. Who wouldn’t be tempted by this gorgeous cover? My first two books, Oh! What a Pavlova and The Cocktail Bar centred much of their activity around the quirky and mystical town of Glastonbury, UK. But in actual fact I live in Spain nowadays and much as I relished the opportunity to write about the place where I spent my childhood through to late twenties, it was high time for a change of scene – as well as to prove to myself that I am not a One Trick Pony. Or should that be Cat? Is Costa del Churros based on a fictional or real part of Spain? Yes, Costa del Churros refers to the Costa del Sol, here in the gigantic province of Andalusia, where I live. I have traveled all over the country, but nowhere seems to make, eat or embrace churros (fried donut strips, often eaten dipped in a thick, velvety chocolate sauce and/or sprinkled liberally with sugar) with the aplomb of the people in this region. 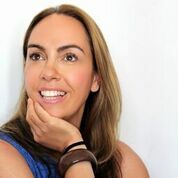 The churros play a central role throughout the book, used as a code word that brings four – very different – women together for flamenco lessons with their highly exuberant teacher, Carmen. Brits abroad Belinda, Julia, Laura and Georgina need more than the sweetness of churros with chocolate dipping sauce to save them from their unsavoury states of affairs. Cue Carmen Maria Abril de la Fuente Ferrera, the town’s flamboyant flamenco teacher! But can she really be the answer to their prayers? One thing’s for sure: the Costa del Sol will never be the same again. Are these four women based on people you know? I thought it would make for an interesting (and comical) read to throw four women from four completely different backgrounds together, to add a little magic (a la Carmen) and to watch the fireworks – from a very safe distance. Well, she was a joy to write. For Carmen is the antidote to any and all of that prescribed female behaviour, an advocate for positive body image on beaches and sun-loungers the length of the coast. She’s a breath of fresh air injecting a much-needed confidence boost to all four of the main characters in the story. Isabella May lives in (mostly) sunny Andalucia, Spain with her husband, daughter and son, creatively inspired by the sea and the mountains. Having grown up on Glastonbury’s ley lines however, she’s unable to completely shake off her spiritual inner child, and is a Law of Attraction fanatic. Cake, cocktail, and travel obsessed, she also loves nothing more than to (quietly) break life’s ‘rules’. 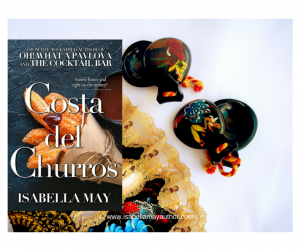 Costa del Churros is her third novel. 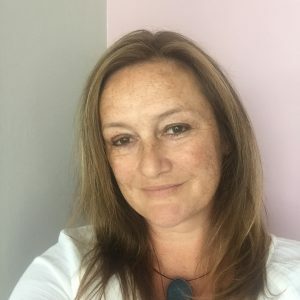 Today I am joined by fellow Crooked Cat Author Sue Barnard to talk about her favourite ‘comfort reads’ – and it’s an eclectic selection! If like me you are a bit of a Wuthering Heights fan ( confession time – I prefer the Kate Bush song to the novel), you might be interested in Sue’s latest book Heathcliff, a Wuthering Heights spin-off, published on 30 July 2018 – Emily Brontë’s 200th birthday (and Kate’s 60th). Take it away Sue! I first read this book when I was in my mid-forties and was starting to feel depressed about getting old – and I can truthfully say that it changed my entire outlook on life. 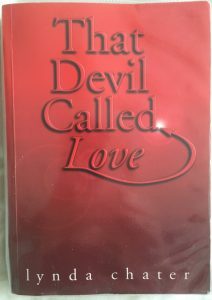 It’s a modern re-working of the Faust legend, told with great perception and humour, in which the heroine finds out the hard way that youth, beauty, wealth and fame don’t necessarily hold the key to lasting happiness. It’s a valuable lesson to everyone, and such an ingenious concept that I’ve often wished I’d thought of the idea myself. This fictional detective story considers a real-life cold case: Who might have killed the Princes in the Tower? A thorough and well-constructed investigation which comes to a surprising but very plausible conclusion, and it certainly changed my original perception of King Richard III. 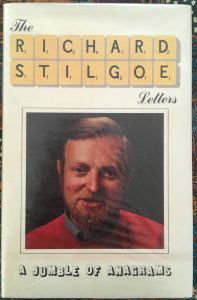 Whenever I need a fix of surreal humour, I reach for this book: a collection of short pieces written about characters who are all anagrams of the author’s own name, and all the names are astonishingly appropriate for the people concerned. For example, there is a charismatic weatherman called OSRIC THIRDGALE, a fantasy writer called ERIC D GHOSTLAIR (whose epic trilogy GHIRIDOR CASTLE is a cult classic), and the sometime president of France, Germany and Ireland: GISCARD O’HITLER. The writing is pure genius, and the book definitely deserves a wider audience. 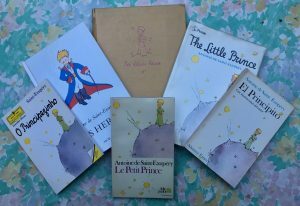 I was first introduced to these lovely stories when I was in my final year at primary school. They tell of a group of young people who form their own theatre company, and they first kindled my longstanding love of the theatre. 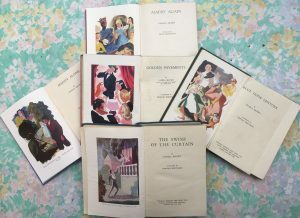 There are five books in the series: The Swish of the Curtain (1941), Maddy Alone (1945), Golden Pavements (1947), Blue Door Venture (1949) and Maddy Again (1956), all set in a fictional town in southern England. They seem a little dated now, but that is part of their charm. It’s sometimes good to escape from twenty-first-century traumas and revisit an era when things were a little more innocent and a lot less complicated. Sue Barnard is a British novelist, editor and award-winning poet whose family background is far stranger than any work of fiction. She would write a book about it if she thought anybody would believe her. Sue was born in North Wales but has spent most of her life in and around Manchester. She speaks French like a Belgian, German like a schoolgirl, and Italian and Portuguese like an Englishwoman abroad. Her mind is so warped that she has appeared on BBC TV’s Only Connect quiz show, and she has also compiled questions for BBC Radio 4’s fiendishly difficult Round Britain Quiz. This once caused one of her sons to describe her as “professionally weird.” The label has stuck. Sue joined the editorial team of Crooked Cat Publishing in 2013. Her first novel, The Ghostly Father (a new take on the traditional story of Romeo & Juliet) was officially released on St Valentine’s Day 2014. Since then she has produced four more novels: Nice Girls Don’t (2014), The Unkindest Cut of All (2015), Never on Saturday (2017) and Heathcliff (a Wuthering Heights spin-off story about Heathcliff’s missing years, published on 30 July 2018, to coincide with the bicentenary of the birth of Emily Brontë). 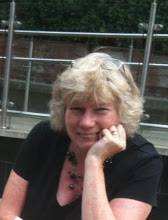 Sue now lives in Cheshire with her extremely patient husband and a large collection of unfinished scribblings. You can find her on Facebook, Twitter (@AuthorSusanB), Amazon, or follow her blog here. Thanks to Sue for taking part – anyone else have fond memories of school text books? The day finally arrived – The Theatre of Dreams was officially launched and it’s like sending a baby out into the big wide world. You hope everyone is going to like it, you hope you’ve created something endearing and captivating, but of course, books are subjective and not everyone is going to be enthralled by your style or even interested in your genre. 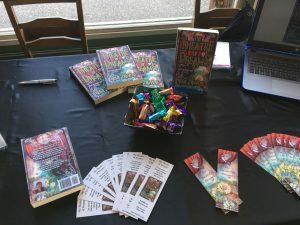 It seems to have been an awful long time coming – eight months in total since I signed that publishing contract and it has been hard keeping the momentum of ‘I’ve got a book coming out’ going. 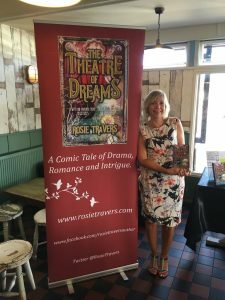 I have tried to build an ‘author platform’ during that period – it’s a been a learning curve that has taken me right out of my comfort zone and I’ve still got a long way to go. I’ve extolled the virtues of my book, I’ve described it as warm-hearted, as funny, entertaining, now at least it’s out there in the public domain people can read it for themselves, make up their own minds and hopefully agree. The proof, as they say, is in the pudding. I think I’ve baked something quite delicious but now it’s time for the taste test! As much as I’d now like to sit back and take a break from social media I can’t. The launch is just the beginning – a book is for life, but I no longer feel quite so much like a one-man band. I’ve had good reviews, I know I’ve written a well-rounded story and I will keep on plugging away. Hopefully I will have more confidence to go out there and promote myself. I read somewhere that the best marketing tool is to write another book. That’s taken a bit of a backseat over the last couple of months but I feel ready now to pick up the WIP and attack it with new vigour. And more importantly, breathe…..
Get email notifications about new posts.